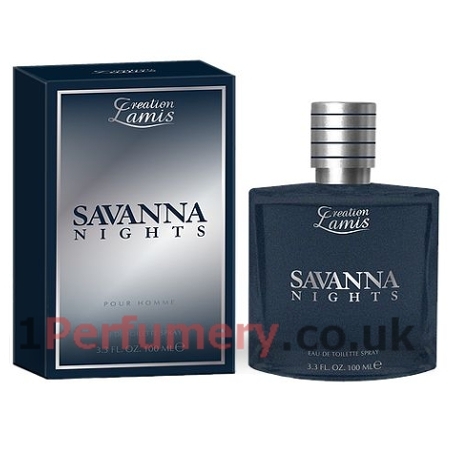 Lamis Savanna Nights is a Aromatic Fougere fragrance for men. When you are breaking the limits again, you feel exceptional power… Keep that feeling! The fragrance Savanna Nights is the essence of masculine strength and an unforgettable adventure. Give freshness to every moment of your life thanks to its fresh aromas of the bergamot orange and elemi. Listen to your inner voice and discover incredible deep notes of the cardamon and geranium that build the heart of the fragrance. Feel the power of vetiver, amber and leather flowing from the base notes interwoven with the aroma of patchouli... and find there the reflection of primal wildness hidden in the true, masculine nature – your nature, whose realm is the feeling of unlimited freedom.